Britain has begun issuing passports with the words "European Union" removed from the front cover -- despite Brexit being delayed and its political leaders deadlocked over how to extricate the country from the bloc. In an apt sign of the befuddling circumstances around Brexit, Britain's interior ministry confirmed that some newly-issued passports now omit references to the EU atop the cover while others still bear the bloc's name. "In order to use leftover stock and achieve best value for the taxpayer, passports that include the words 'European Union' will continue to be issued for a short period," a spokeswoman added. Minister Theresa May has delayed leaving the bloc after 46 years of membership amid stubborn opposition in parliament to the divorce deal she finalised with European leaders in November. MPs have overwhelmingly rejected the agreement three times. 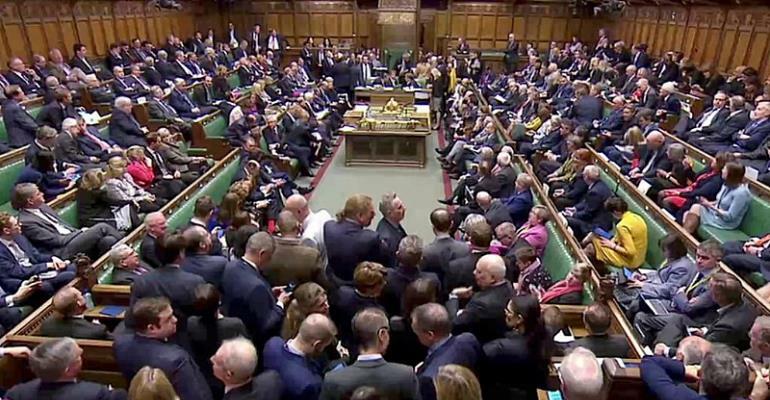 But with EU heads growing increasingly impatient at the political paralysis in Westminster, they could offer just a shorter postponement -- or a longer period of up to a year.